Bruno Mooshei, the owner/bartender who took over the place from his father (who opened it in 1941), had developed something of a reputation over the years, and I wanted to see if it were true. I was told if a potential customer wandered in but didn’t know what they wanted, or veered from the traditional list of cocktails (martini, manhattan, tom collins, etc. ), or he just didn’t like their looks, he’d throw them out, telling them to try the bar down the street. ‘I think you would be happier at the bar on the corner… I would be happier, and everyone here would be happier,’ he’d say. Apparently, this unique approach to customer service started in the 1960s when hippies invaded the neighborhood and scared away many of his regulars. Bruno had no patience for hippies or anyone else who didn’t follow his unwritten rules: always have your money on the bar, know what you want, don’t stand there and waste my time deciding what to order, order a real drink. Basically it was a way to keep out anyone he didn’t like. Fortunately for him, his mother owned the building, so he had no overhead and could get by with only a handful of customers. 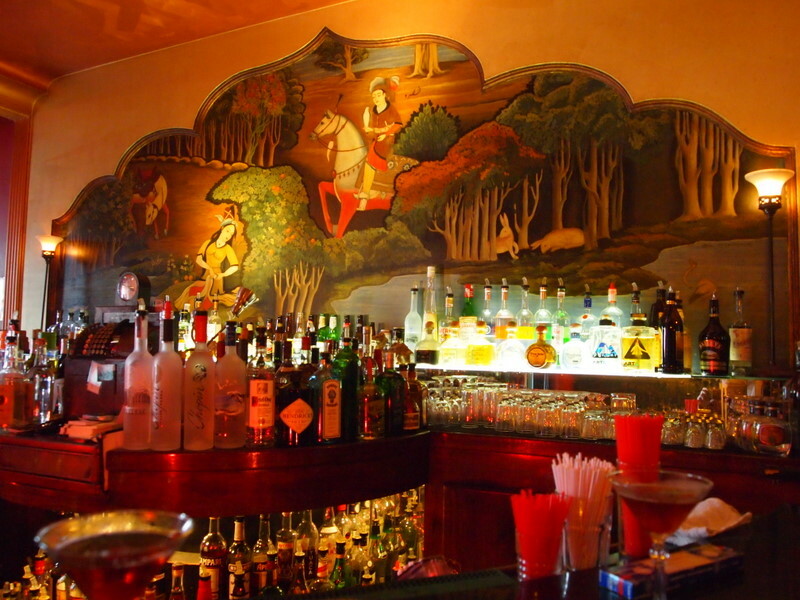 The place has had a Persian theme since it’s opening, including the original mural behind the bar. Persian Aub Zam Zam (the full name) means ‘Persian oasis’. Bruno’s father was Assyrian, but Bruno would say ‘don’t call me a Persian; call me an Okie, but not a Persian.’ Bruno died in 2000, and the bar was bought by long-time regular Bob Clarke, who lived in an apartment above the bar for 15 years starting in 1985. He’s kept the bar exactly as it’s always been, though he’s more likely to engage you in conversation than kick you out. And the bar is also open on a more consistent basis, during the week from 3pm to 2am, and on the weekend starting at 1pm. Fortunately the prices are still cheap and the martinis still top-notch. 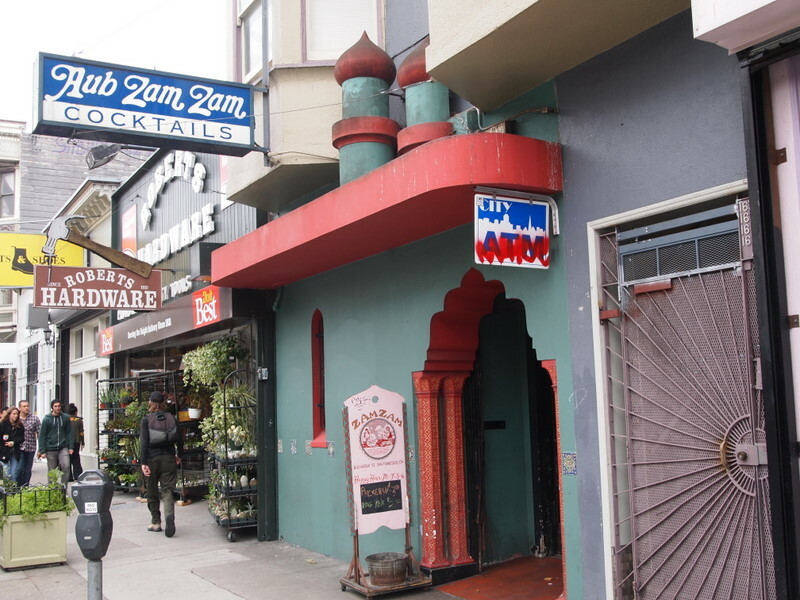 Aub Zam Zam, 1633 Haight Street.